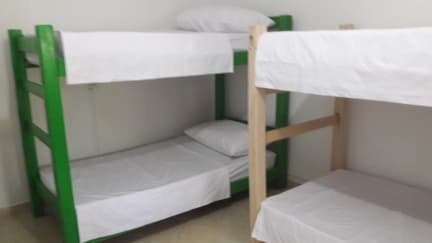 The Sugar Cane Hostel i Medellin, Colombia : Boka nu! Amazing hostel. Amazing owner and staff. Amazing breakfast. Amazing trip to Guatape with Rafael - booked through the hostel. Hot water in the showers. Many showers and bathrooms. 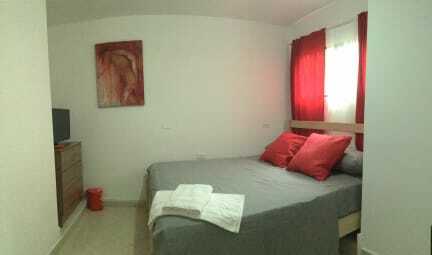 Great roof top and great location, close to metro, Éxito and the restaurant/club area in Poblado. If we’d say anything negative it would be that you could hear the street really well or if anyone got back home late at night you’d hear the front door, but if you have earplugs that is not an issue at all. Best hostel I've stayed at. Ended up staying way longer than planned. Not a party hostel but very social. My favourite hostel in Medellin (stayed at 4). They have massive pillows(!) and it's always clean. There's one big table on the rooftop which makes it really sociable at breakfast and in the evenings. Also the best kitchen I've come across at a hostel so great for cooking. It's slightly outside the bar and club area which is really nice. Instead it's right by the metro and a supermarket. There are loads of good restaurants around the hostel as well. Very clean and safe hostel. Super friendly and helpful staff. Nice rooftop with good common spaces making it very easy to meet people. I stayed here for a week and met so many nice people! The staff are super cute, it has a home-y feel to it. I stayed in a dorm close to the street and you could hear the construction workers quite clearly, ask for one further in in the building. The rooftop is nice and there's unlimited bananas and coffee! It has a really social vibe. Would definitely recommend. Enjoy!